Leave it out in the sun to charge during the day and let it shine inside at night! Back to the middle ages! A time of kings, knights and princesses. This medieval cardboard Castle is easy to build, easy to charge, and fun to customize and play with. 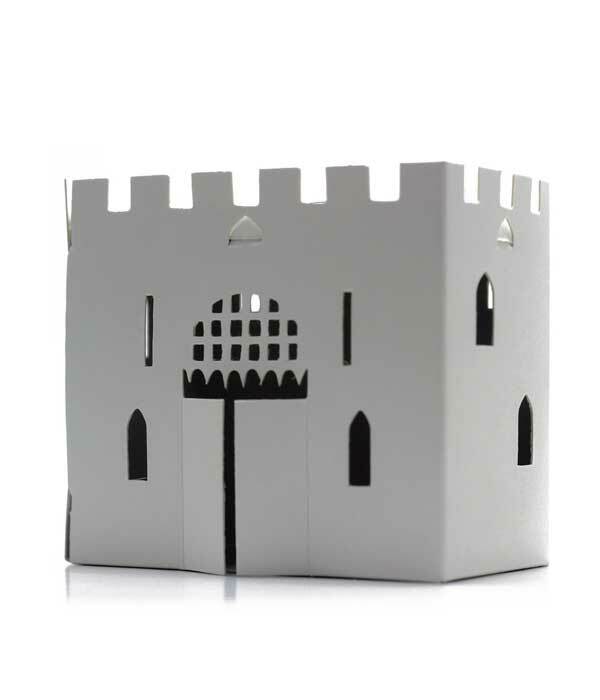 This little fortress will light the room of your little knights at home, so they can sleep safe and sound. Casagami Castle light is powered by sunlight and it’s decorative, fun and educational, teaching children about sustainability while they play. A day’s charge in the sunlight will give you 5 hours of light. Charge your Castle by placing it on the window sill during the day and light it up when it’s bedtime! There’s a on/off switch for better battery time management. The castle comes in white cardboard so it’s ready to be customizable and decorated. The white canvas is perfect for children to express themselves by painting them, while adults might want to keep it white as a home decoration item. Each Castle Toy consists of an adhesive solar module and a sheet of pre-cut recyclable cardboard. The patented adhesive solar module is made of a mini solar panel, an orange LED, a switch and a Lithium-Ion battery. Assembled dimensions are approximately 8 x 9 x 6,5 cm. Each castle is shipped in a A5 sized flat cardboard envelope weighing less than 50g for reduced carbon footprint. Building this sustainable solar castle only takes a couple of minutes and doesn’t require any glue. Simply remove the castle from the pre-cut sheet of cardboard, fold all tabs of the house, stick the adhesive solar module to the inside and fix the tabs to assemble the castle. After assembly, place your castle on the windowsill to charge the battery: 5 hours of charging in sunlight= 5 hours of lighting. Automatic switch off system when exposed to sunlight. 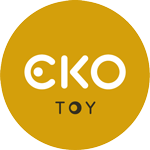 This solar toy is a great way to introduce children to sustainable development and alternative energies. Works great as a workshop activity. Easy to build and decorate, Casagami is designed for children and adults alike. These night lights also make a good gift for newborn’ parents. Fully recyclable product to the exception of Solar Module Unit (please dispose of in a eco-friendly manner).